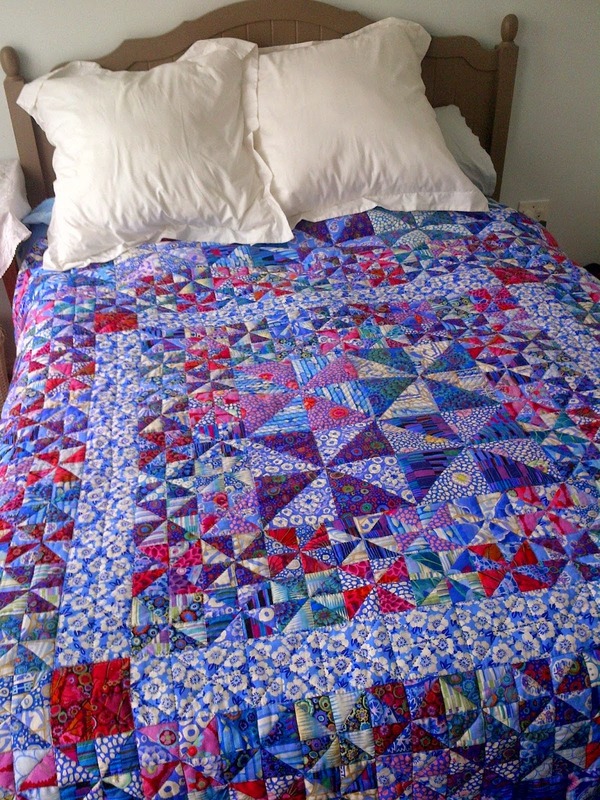 I've been doing some quilting this weekend, haven't done any for a while. 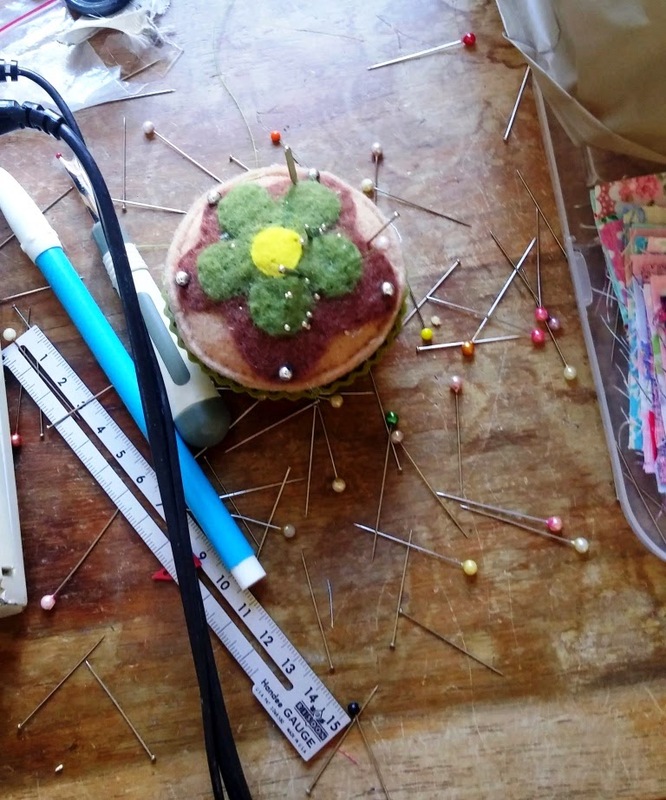 This summer has been quite hot, so I have not been much in the mood for sewing, especially since the sewing room gets full sun in the afternoon. 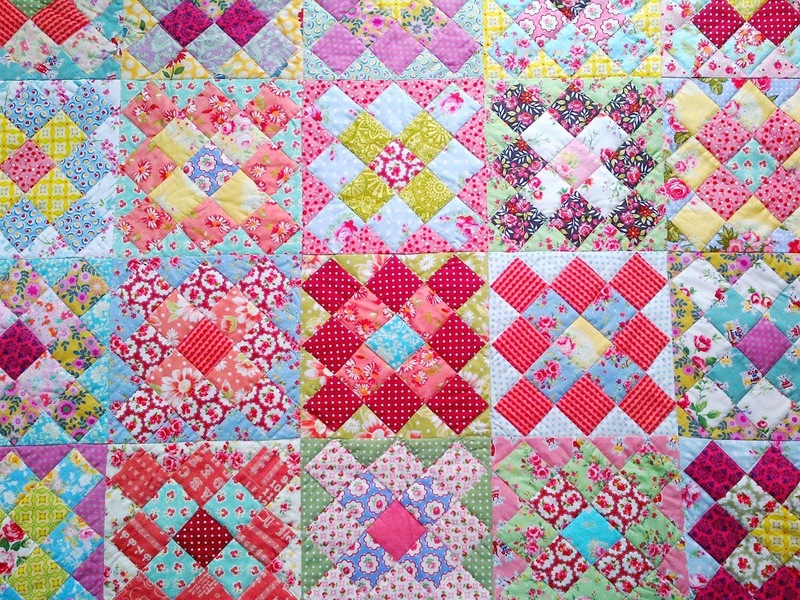 I've been working on my two-by-two Rose Tea-Party quilt using left-overs and scraps from several previous projects. 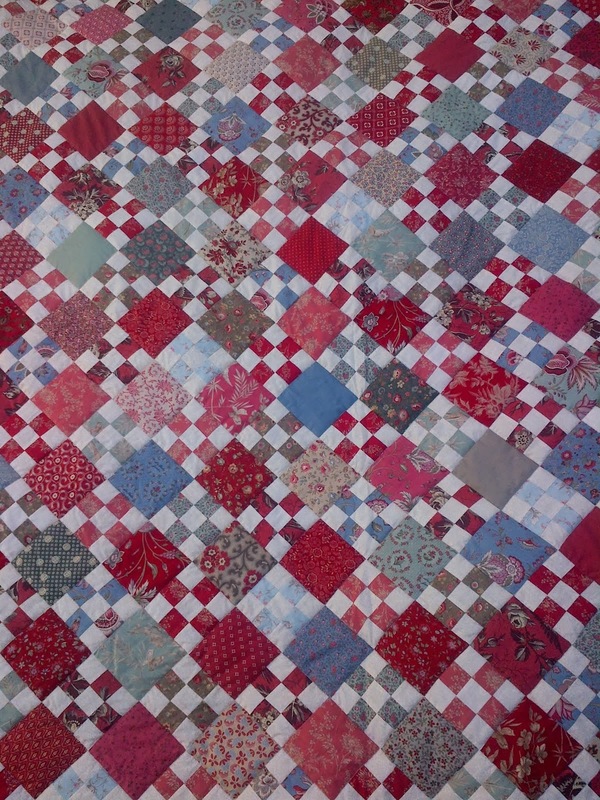 I've finished laying out the blocks, now I will begin assembling the quilt. The two-by-two square blocks are each made from four 2.5" squares (2 in a warm colour print, 2 in a cool colour print). I've placed the blocks on point, with the cool colour blocks pointing in one direction and the warm colour blocks in the opposite direction. It creates a rhythm, that is fun for the eye to skip over. Ah, so it was little sewing "helper". Sweety-Bird must have been very, very busy during the week. I must remember to unplug the sewing machine cord when I'm finished sewing, otherwise he uses it as a rope to climb up onto the sewing desk. With such a cute little budgie face, who could be angry? 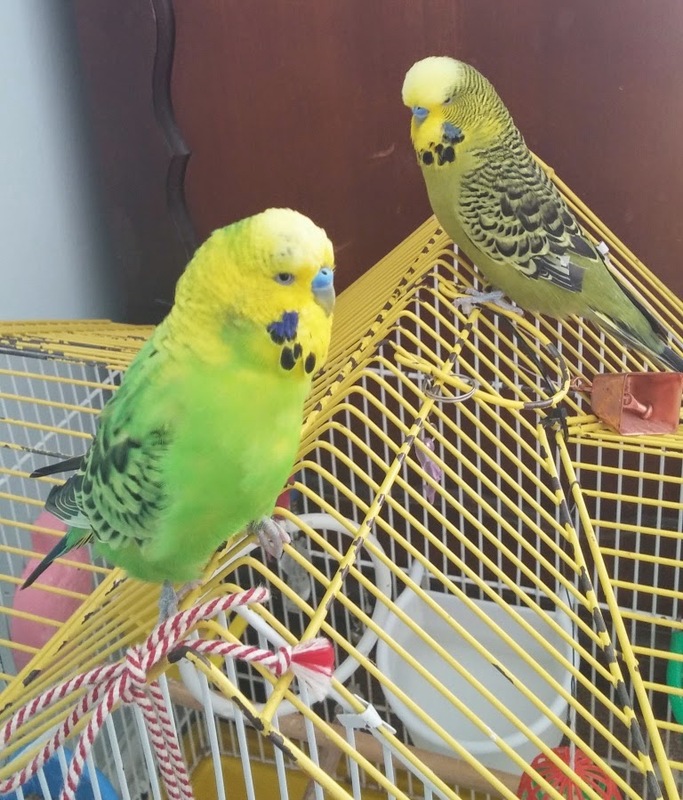 Sweety-Bird has got a buddy now, an olive budgie, called Luc. 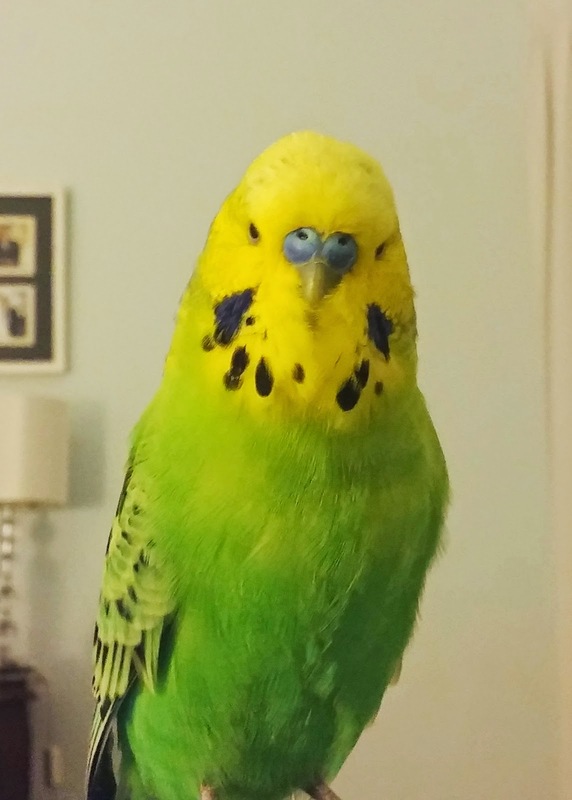 He used to be my mom's budgie. He is also relatively tame, a few years older than Sweety, but definitely not as adventurous/naughty. 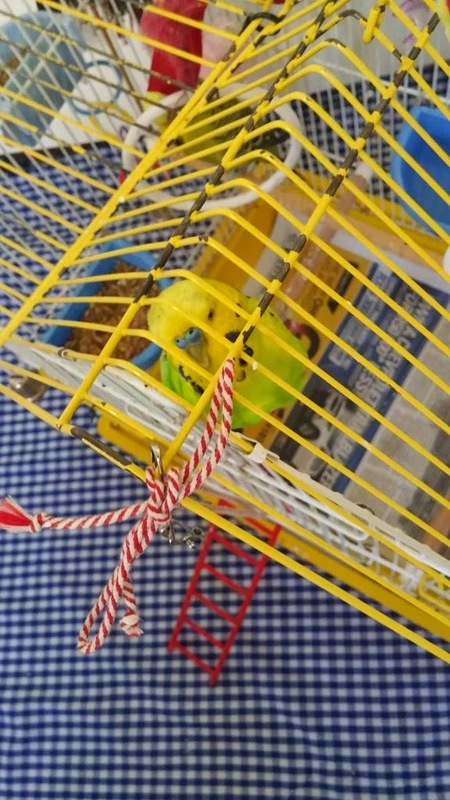 He sings sweet trilling budgie songs all day and he is quite gentle. Sweety-Bird speaks English quite well, I will make a video of his ramblings and post it sometime soon. Beautiful color and fabric combinatins in your two by two project. Just lovely and your bird seems to have a lot of interest in your sewing. Neat story. Your 2 x 2 is wonderful! 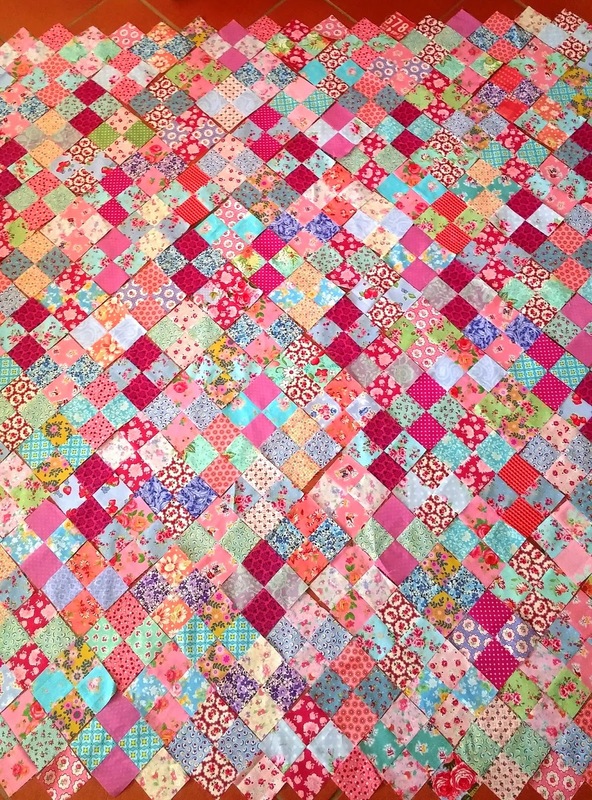 Your sweet floral scraps in warm and cool create a really charming quilt! I must have missed the "postcard" quilt. 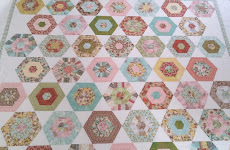 Looks like a fun challenge to pick just the right fabrics and to make those little blocks. Really fun. Oh, and your birds! I would love to hear the symphony sometime. 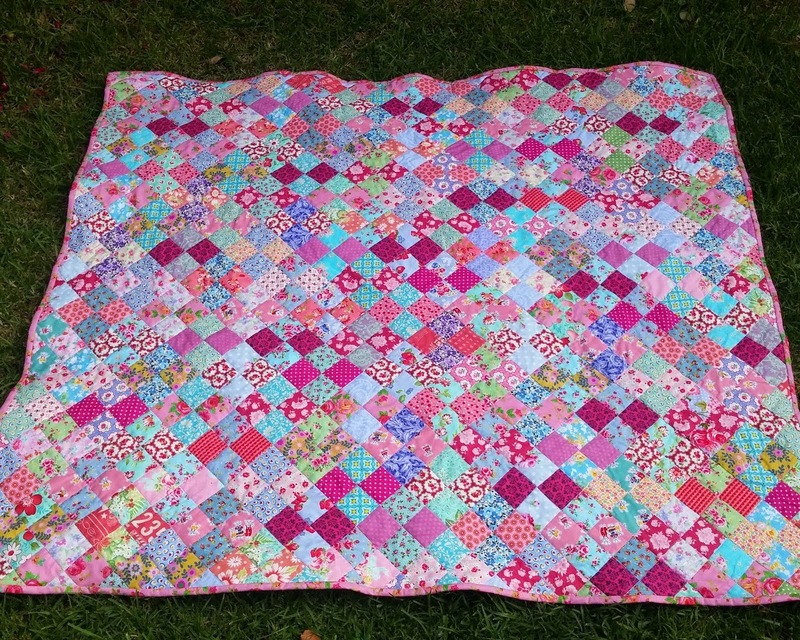 Gorgeous Two-by-two Rose Tea-party quilt! To colors are fabulous with your arrangement. The bird story is too funny! I use to own a similar bird as a child and can just imagine this happening! 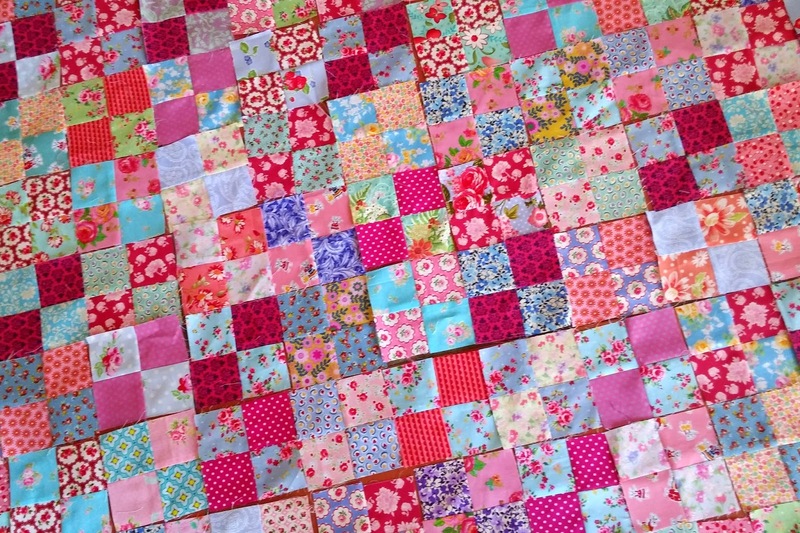 Can't wait to see the finished quilt!!! Your 4-patches are positively juicy! I love your quilt and what a funny story about the birds! 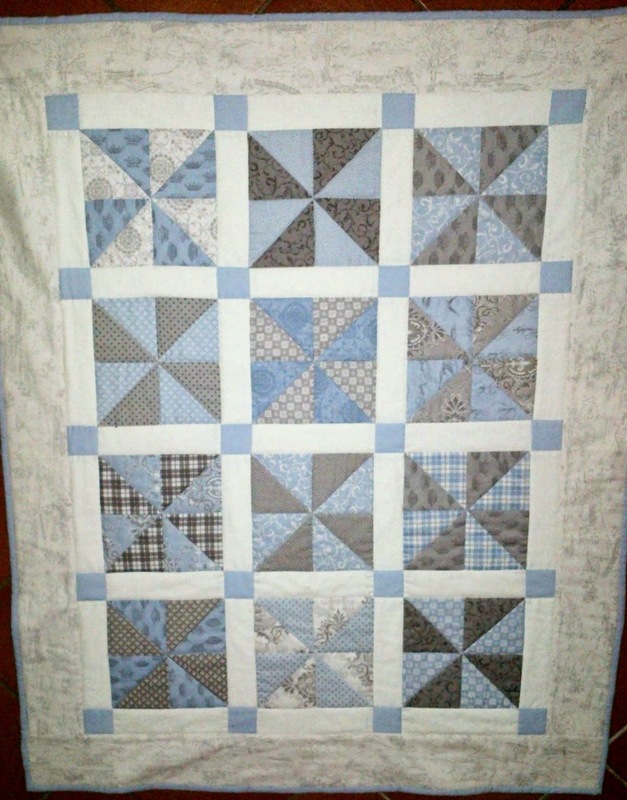 Such a lovely quilt... the scrappyiness is delightful! And I do like it set on point, very effective!